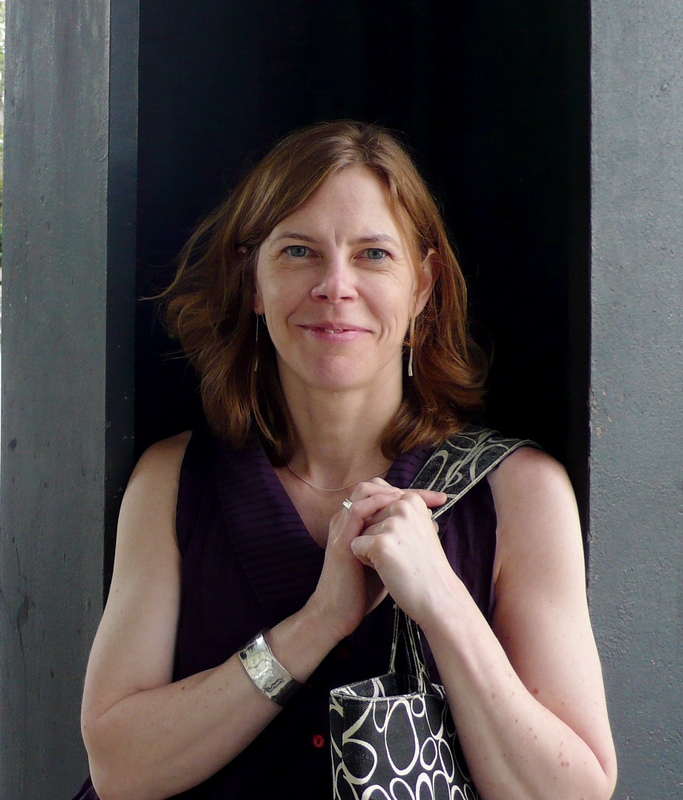 Alison Simmons is Samuel H. Wolcott Professor of Philosophy at Harvard University. Alison’s research focuses on early modern theories of mind and perception. Recent papers include “Cartesian Consciousness Reconsidered,” “Re-Humanizing Descartes,” “Leibnizian Consciousness Re-Considered,” “Sensation in the Malebranchean Mind,” and “Guarding the Body: A Cartesian Phenomenology of Perception.” She is editing the volume, Consciousness, for the Oxford Philosophical Concepts series. My interest in mind-body problems started when I got my first pair of glasses at the age of six. Nothing like trying to walk across a floor that looks tilted but feels flat to get you thinking about the way your experience of the world is mediated by all sorts of bodily contingencies. I was a budding perceptual psychologist. Until the autumn of 1987. A first-year graduate student in psychology, I had the experience of driving down the road near Ithaca, NY only to have the beautiful 3D landscape around me flatten into a world of 2D visual distance cues. I also couldn’t shake the kinesthetic and proprioceptive feeling of my looking eyes or my awareness of the limits they placed on my peripheral vision. Yes, I pulled the car over. When the world returned, I drove straight home and applied to transfer to a graduate program in philosophy. Safer to think about this stuff at another level of abstraction. My philosophical interests fall in three nested categories: changing conceptions of (a) the relation between the human mind and body; (b) the nature of the mind and thought; and (c) the nature of sensory perception. As the “changing conceptions of” suggests, I work in the history of philosophy. I’m interested in what people today are saying about these things, but it helps to know how we got here, and to unearth assumptions we’re making without even noticing. Since Descartes is a pivotal figure in the history of thinking of all three topics, it’s probably not surprising that the bulk of my work has focused on him. It’s not easy to be a Descartes scholar. Everyone loves to hate Descartes. If an idea is described as “Cartesian” you can be pretty sure you don’t want to be associated with it. Cases in point: mind-body dualism; the quest for intellectual Objectivity; mental transparency; a skepticism that leaves the senses and passions in the dust. It’s not just that people find these views false. They seem to find them offensive. (People say “Cartesian” as if they’ve just eaten a bad clam.) Why? I think the problem is that Cartesianism, as people typically understand it, sounds profoundly de-humanizing. Together, the aforementioned themes suggest a goal of disembodied minds seeking to understand the world from no particular point of view, and doing so with no hidden motives or assumptions. This is nothing like our own human experience. We are not, we want to say, minds that wear our bodies like an uncomfortable pair of jeans; we are bodily through and through. We can’t (and shouldn’t try to) attain an objective view of the world from nowhere; we are decidedly somewhere (namely, where our bodies are), and where we are matters to what we believe and do. We do not have transparent self-knowledge, but have hidden prejudices, lost memories, and repressed desires. Cartesian philosophy, it seems, is not a human philosophy. Much of my work on Descartes restores the human in his philosophy. Dualism and intellectualism form only a part and they are distorted by our taking the part for the whole. Descartes insists that his intellectualist metaphysics is something we should undertake only “once in a lifetime” or at most “a few hours a year.” (!) Doing Cartesian metaphysics, by his own account, pulls us away from our human nature. For human nature, as Descartes himself understands it, is sensory and imaginative and passionate. What is more, human experience, as Descartes himself understands it, is at its core an embodied experience. Much of his work is devoted to these topics. The problem is that Descartes was too successful in his metaphysics. His once-in-a-lifetime reflections have captured our attention and we have mistaken his metaphysical meditator for the Cartesian human being. Alongside the much-maligned themes mentioned above, however, we find companion themes in the texts: mind-body union, a quest for self-preservation, a multilayered cognitive psychology, and a championing of the senses and passions. I hope my work helps to redirect us to these latter, more human, parts of Descartes’ philosophy, and that this will help us rethink his more familiar metaphysical and epistemological theses. I’m currently finishing a paper on the mind-body union that Descartes takes to constitute the human being. When we start with dualism, it’s easy to suppose that a Cartesian human being is something like an angel in a machine (de-humanizing for sure!). In fact, Descartes emphatically rejects such a view as falling short of a human being. The human being involves a “union” of mind and body of some sort. In the end, I argue that Descartes’ own view is that we cannot have an intellectual grasp of the union; we can only sense and feel it. While that means the human being falls outside the domain of Cartesian metaphysics, it provides unexpectedly rich materials for an insightful phenomenology of embodiment. I’m also trying to figure out what the Cartesian mind itself is supposed to be, and what its relation is to previous conceptions of the mind. It’s often said that Descartes invented the modern mind. But what sort of mind did he invent? After 20 years of working on Descartes I’m still puzzled about how to answer that question. While consciousness is, of course, an important part of the Cartesian mind, it’s not the very stuff of thought. Nor are all the magical epistemic properties that are supposed to come along with consciousness (indubitability, incorrigibility, infallibility, transparency, and so on). Thought, for Descartes, is what we are conscious of. While I do not think that the Cartesian mind is quite as revolutionary as it is sometime portrayed as being (the fully mechanized Cartesian body is perhaps more revolutionary), I do think his inclusion of sensing and imagining in the human mind helped to steer us away from a strict faculty psychology and toward more general features of the mind, such as intentionality, representation and consciousness. This turn launched heated debates in its own day (e.g., the Arnauld-Malebranche debate over the nature of the mind’s intentionality). And they continue into our own. Why spend so much time on Descartes? Because he was a critical force in changing the concepts through which we think about ourselves. In the 17th century, the soul (the principle of life) became mind (the principle of thought); and life (formerly explained by the soul) was outsourced to the machinery of the body. We still live in a world of Cartesian concepts: we distinguish mental health from somatic health; psychiatry itself gives us the option of talk therapy or meds; mind-body classes are held at the local gym. I want to understand how and why we came to think of ourselves in these terms. Another conceptual change I’m interested in occurs in the 19th century (though it was anticipated by Leibniz): the inclusion of unconscious mental states in the human mind by the emerging fields of psychophysics, experimental psychology, physiological psychiatry and, of course, psychoanalysis. This move didn’t simply add more content to the mind; it invited vigorous debate once again over the very concept of mind, its relation to the body, and our nature as embodied minds. What could it mean that much of our mental life is automated and unconscious? Is there no line between biology and psychology? And what’s at stake in our thinking there should be? A lovely essay, and an eloquent defense of the importance of the history of philosophy! Brava! You certainly revamped my interest in Descartes again. This is a pretty unique perspective of Descartes. Every time I hear about him its usually about the “mind-body” problem (or how he was wrong in his view of the mind– “i.e. Descartes Error”), his views on God or how he thought animals were not conscoius. I never thought about Cartesianism as dehumanizing the individual. This essay certainly changed how I think of Descartes and modern theories of the human mind. Thanks for writing it.